Digital UltraViolet and Digital Copy will makes it possible for you to stream the movie Spider-Man: Into the Spider-Verse instantly to your computer and compatible Smartphones, Andriod, iphone, iPod Touch, iPad and tablets devices anytime, anywhere. 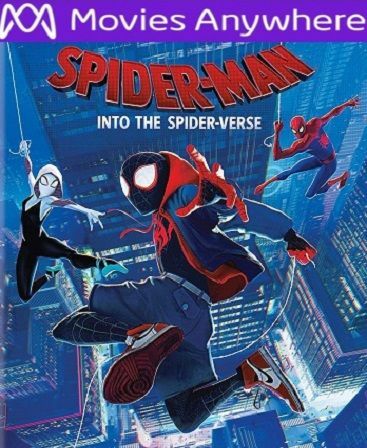 You can also download a Digital UltraViolet Copy or a Digital Copy of the movie Spider-Man: Into the Spider-Verse to your computer and compatible devices. Phil Lord and Christopher Miller, the creative minds behind The Lego Movie and 21 Jump Street, bring their unique talents to a fresh vision of a different Spider-Man Universe, with a groundbreaking visual style that�s the first of its kind.